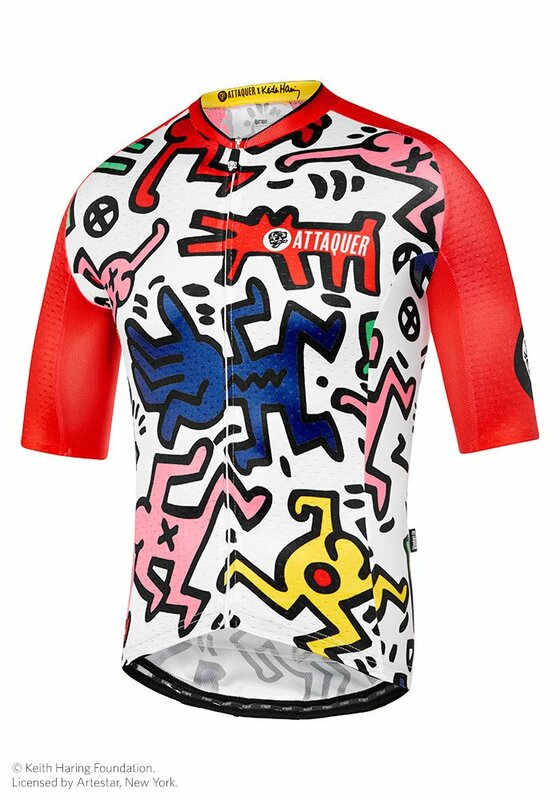 This bold new collection from Attaquer is a collaboration with iconic 1980s graffiti artist Keith Haring. Haring’s earliest works were chalk sketches on the NYC subway, a literal underground artist. 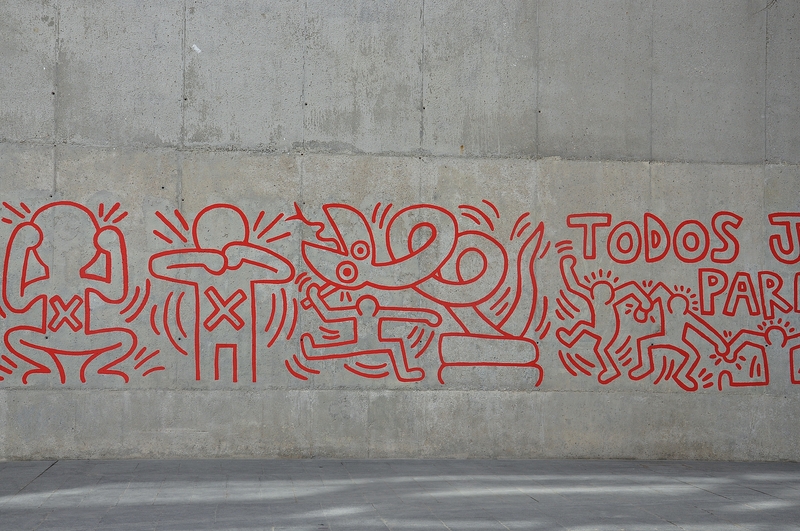 Haring was creating art in public, for the public. A natural exhibitionist, the spectacle of being watched as he created was a vital part of his creative process. Like Warhol and Roy Lichtenstein before him, Haring dutifully severed the link between the art world and upper class elitists. The jersey includes features inspired by the pro peloton such as extended sleeve lengths, pinch-free french collars and a performance cut. 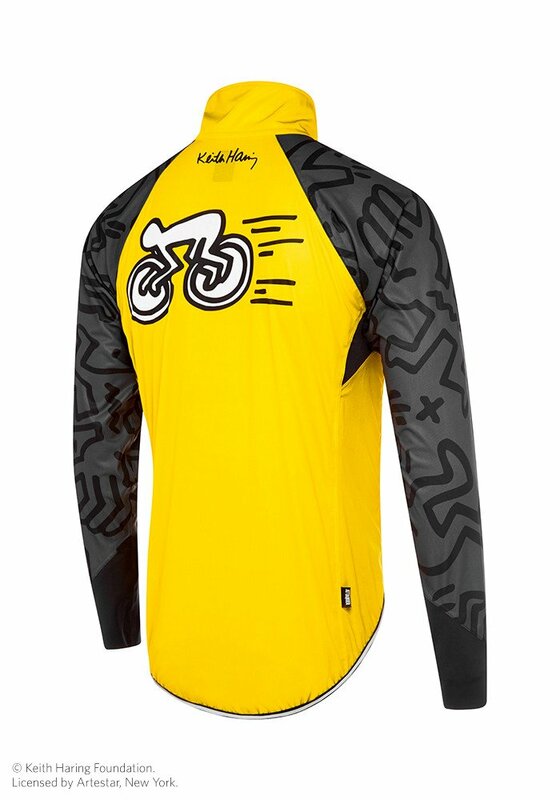 The Attaquer X Keith Haring collection features men’s and women’s jerseys and bib shorts as well as a gilet, jacket, socks and even a cap. The Attaquer Core Jacket packs a punch against foul weather. A compact, waterproof cycling shell to protect you from rain & wind without weighing you down. The range is available from the Attaquer store. Images: Barcelona mural by Alberto-g-rovi. Attaquer collection from Attaquer.